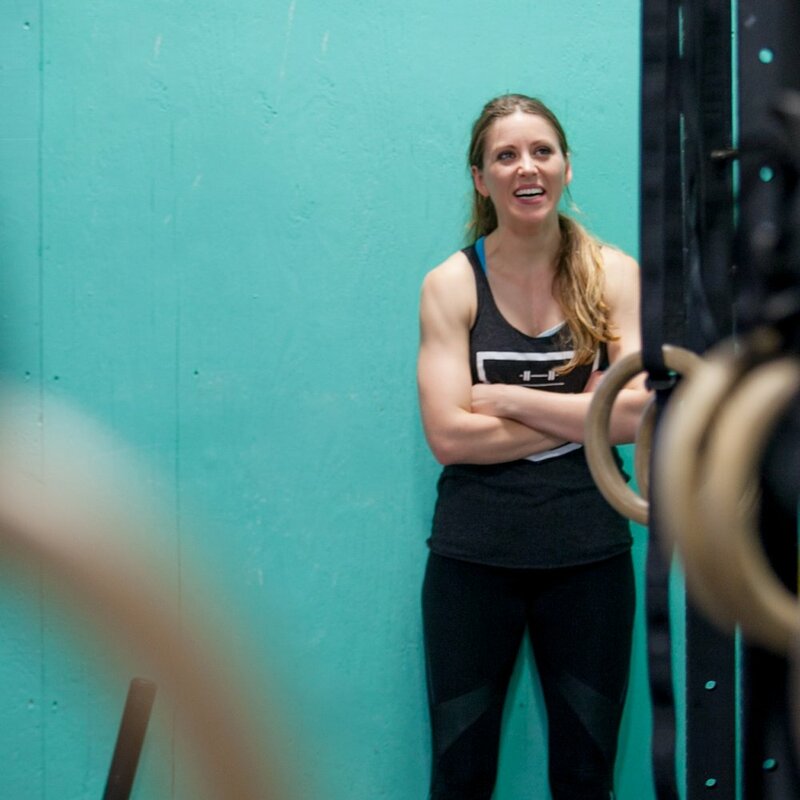 Amy is the owner and head coach at Salt de Terre, the CrossFit gym she opened like a boss as a result of being let go from her previous job. Her well-rounded approach to a healthy lifestyle involves both physical and psychological wellness through fitness. As a newfound startup owner, her intentional approach to business includes forming personal bonds with her gym members and constantly educating herself on the evolving trends in fitness, all while clocking in hours from 6AM - 7PM, six days a week. I am a pretty big fan of Sara Blakely. Cliché as it may be, how she started Spanx was a true “American Dream” story. She was hustling in a door-to-door sales job and while doing so, identified a problem, created a solution, then pushed her idea until it was accepted, all while continuing to work full-time. Blakely turned rejection into a challenge and never really let it get her down. She just kept working on her idea, doing the research, going about things the way she thought was right. Now she’s running a billion-dollar company. Her product gives women confidence, which is never a bad thing! What free time!? Ha, but seriously—I love to cook, do anything active and garden when it’s not sweltering out. Americano with almond milk, watermelon marg (Flying Iguana makes a great one!) I’ve also been big into Butterbeer. We amped up the recipe from Universal’s Harry Potter World and added some rum. Delish. Kesha - “Woman.” I know. French and guitar. I am terrible with languages but have no excuse—my roommate is from France! I can sing, kind of, but have always wanted to learn to play guitar and embrace my inner Alanis playing at area bars. Richard Branson. He embodies entrepreneurship and finding a balance between financial success and giving back. I currently own and operate CrossFit Salt de Terre (CFSDT). I started the gym in March of this year, as a place to bring folks interested in fitness and leading a healthier lifestyle to enjoy workouts alongside a supportive community. CrossFit gyms have become uber competitive, so much so that many have become unsafe, encouraging folks to lift more and push harder than they probably should. I cater to folks more interested in a great, sustainable workout; something challenging but repeatable every day and something that doesn’t get them hurt. The majority of the members at CFSDT have been injured at other gyms or (just from life). I take great pride in my programming and coaching. It’s safe, fun, challenging and rewarding. Up at 5:00, to the gym by 5:45 a.m. (hopefully), coach 6:00 to 9:30 a.m., attempt to sneak a workout in, clean the gym, coach 12:00 to 1:00 p.m., run home, eat, do some admin tasks, return to the gym for private coaching around 3:00, coach classes 4:30 to 7:30 p.m. I coach a lot, and I wouldn’t have it any other way. I love what I do and find it rewarding. I see these folks every day and end up being the sounding board for many of them. I love hearing about their days, triumphs, trials, etc. and helping them work through solutions. What gave you the push to open the doors at Crossfit Salt de Terre? I officially launched in March of this year, 2018. To be frank, I was managing another gym and was let go. It was a kick in the pants. I’d known I wanted my own thing, and had been trying to buy in there, but this is the best thing that could have happened. CFSDT is all about whole body wellness. Like I mentioned above, I am really pushing the give-back side of things, promoting physical wellness alongside psychological wellness which can be gained through a supportive community and enrichment activities like donation events. Have you always had a passion for fitness and wellness? Variety. It’s fun, always changing, guaranteed to be a challenge, and it’s competitive enough to push me to want to do more. At the end of the day though, it’s about the people. There’s always someone in class you can chat with, compete against, lift with; it just keeps it interesting. What do you most enjoy about being a coach? Seeing folks make improvements—personal records on lifts, going a little faster, better form, more mobility, more stability and balance for my older members; it truly is the little things. Their gains feed me and it's so fun to watch them grow. Everyone’s fitness journey is a bit different and everyone is looking for different things. People learn differently too, so I find I need to be patient, methodical and creative when coaching and teaching. Adapting my methods to suit their needs is challenging and rewarding. I have taught, in some capacity, in almost every job and/or volunteer opportunity I’ve ever had. I find that when I am teaching—be it theater, arts or soccer to young kids, cooking to adults and kids, English and grammar to college students or CrossFit— I have limitless patience. It’s like time just flies by. I started a literary magazine in college, The Peel, which taught me how to launch something from nothing, motivate the troops and rally up support. Lessons from this time have been put into practice while opening the gym. From ages 14-22, I volunteered every summer at Camp I am Special. My time there taught me patience, that everyone is different and needs different motivation, care, etc. College and grad school taught me endurance; my adult roles as catering manager and farmer’s market manager allowed me to work with diverse groups, meeting tight deadlines and switching quickly between highly physical work and desk work. I was not prepared for accounting and all things technology. Boy, was I bad with numbers at first. Thanks to an incredible accountant and friends in the banking world, I now have a good grasp on my profits and losses, cash flow, etc. Tricky stuff! I am still struggling to keep up with Facebook’s ever-changing advertising policies and how to update my website, but, alas, it’s a learning process. Thus far, opening the gym and reaching my first membership goal. I am three months in and three-quarters of the way to my goal, which makes it feel accomplishable. Response to my CrossFit with a conscience mission and my more laid-back approach to CrossFit-style workouts (not to worry—they are still intense and competitive) has been positive. I was unsure how my branding and messages would be received, but so far, so great! It’s hard to be taken seriously, at least sometimes. I am a rather petite, youngish female, trying to tell adult men and women how to lift. I really have to show that I know my stuff, so I think it’s super-important to keep up with my strength and fitness, a lead by example approach. Operating as a CrossFit affiliate is tricky, too. I love CrossFit, but my approach is not the standard, go-till-you-puke approach. It’s gentler, more maintainable and a lot less aggressive than most gyms. I’ve struggled to prove that CrossFit isn’t just intense and intimidating. More and more females are getting involved. More male box owners, by a longshot, though. I think the industry will continue to trend toward more female owners, especially as CrossFit tries to make its brand more approachable. What are some common misconceptions about your job? What are some of the everyday struggles with your job we might not see? That “I’m just a coach,” or that being a personal trainer or fitness coach is a dumb person’s job. It’s true: Being a CrossFit coach does not require much traditional education, but that doesn’t mean folks with higher level degrees aren’t coaching and growing the field. I read daily: trends in lifting, anatomy and physiology books, mobility techniques, etc. I am determined to continue improving my coaching and can only do that through knowledge. I hate the fact that so many poor quality trainers have brought the perception of folks in this industry down. Coaching is physically and mentally demanding. I have to be “on” eight-plus hours a day and in-between those hours I’m cleaning, taking care of admin responsibilities or working out myself. This is not a nine-to-five, sit-behind-a-desk job. I am in the heat all day every day. I love it, but keeping that same energy and attention level 6:00 a.m. to 7:30 p.m. (the end of my last class) is a challenge. In the startup phase, it’s all work right now. I am so thankful for my incredible friends, family, and members for being patient and supportive as I grow this business. My boyfriend is an amazing cook and makes it a point to have dinner ready most nights. I get in after 8:00 p.m. and head back to the gym at 5:30 a.m. most days, so having a meal to look forward to when I get home is wonderful. I also write. I’ve been writing since grade school and it’s always helped me clear my head. I make a lot of lists, and I genuinely enjoy cleaning and organizing. I make it a point to see friends and family as often as I can, even when I’m tired. Knowing others are there for you really helps me stay motivated. Let others help you. I tend to take the “I can do it all myself” approach on most things. Workhorse as I may be, I tire out. Let others in. Allow them to help by performing small tasks at first so you get comfortable working with them and build a rapport. Two minds and sets of hands truly are better than one. If you choose your help carefully, you’ll be sure to set yourself up for success. All photos property of Brandi Hill. Warby Parker designs a trendy and socially conscious eyeglass collection. Our favorite part of WP? Their Home Try-On Program, where you can select 5 different frames online, have them delivered to your door, take 'em for a spin, pick out your faves, then send them all back — all before spending a dime. Learn more about it here. *This is an affiliate partnership. That means when you shop using our links/codes, a portion of your purchase goes right back to us, so we can roll out awesome new things for you. Of course, we only promote hand-selected brands and products that we stand behind and know you will enjoy.Interested in advertising with us? Email us.